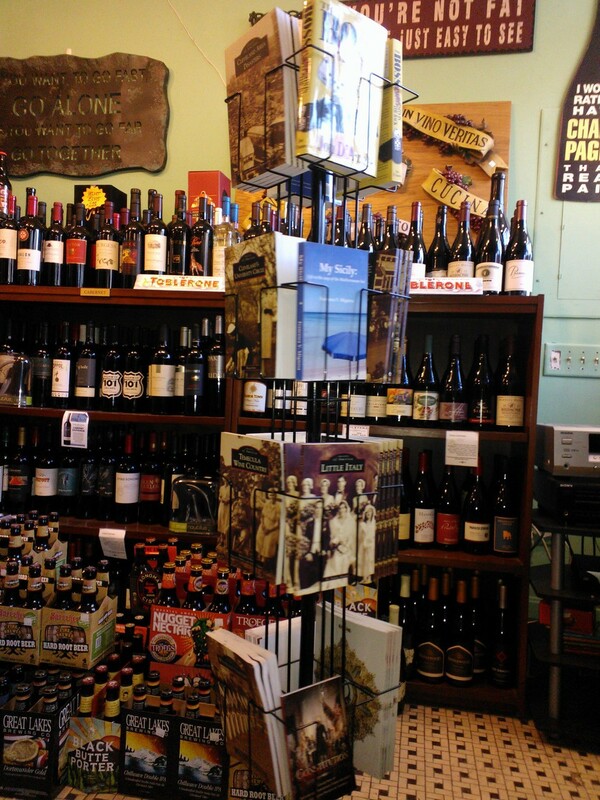 Little Italy wines carries an extensive array of wine related gifts and accessories. We have many different styles of corkscrews, Champagne stoppers, vacuum preservers, decorative wine bottle stoppers, many styles of wine glasses as well as wine racks for the wall, tabletop and floor. We also have Italian themed wall plaques and wall art including some great replica canvas and poster art as well as nostalgic tin signs that make great gifts. We carry an array of Murano glass decorative pieces as well. We carry handmade Jewelry made by a local artist from imported Murano glass from Italy. Most of these are Italian themed but many are stylish necklaces and bracelets without any spaghetti sauce attached. And don't forget the great selection of nostalgic history books. Books about Little Italy, University Circle, Lake View Cemetery and many more. We are an exclusive for "The Boss Always Sits in the Back". We also have a GREATcookbook with a recipe in it from Matteo Silvaggio - the owner. This cookbook is dedicated to cancer survivors and this particular recipe was dedicated to a dear friends mother who lost her battle with cancer last year. See page 57 of the cookbook. Looking for something we don’t have? Ask us to find it for you. If we can’t direct you to one of the great shops in Little Italy, we will do our best to find whatever you might be looking for.